Maya’s sketchbook is filled with a hundred pages of a woman’s face, each cryptically drawn with no distinguishable features from one to the next. But each one has a slightly different set of markings added on the face, representing a tattoo found in drawings or photographs of Inuit women in history. In Maya’s career, she has researched and catalogued hundreds of unique Inuit tattoos. But these images are not easy to find on the faces of Inuit women today. Maya’s research is both archival and yet highly personal. 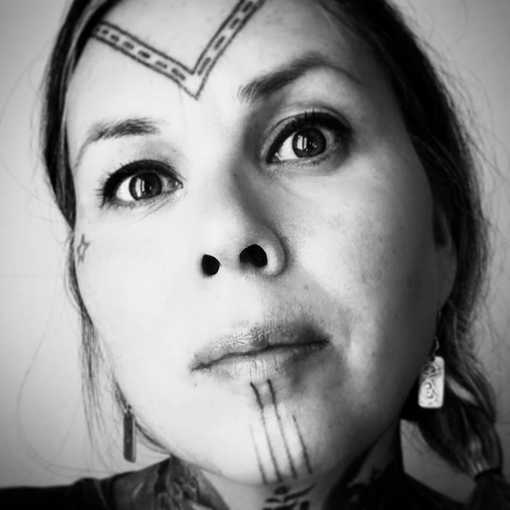 She is a tattoo artist dedicated to the preservation, protection and revival of native Inuit tattooing traditions. Having learned the art of tattooing in the Western style, Maya has put down her mechanical tattoo guns for good. 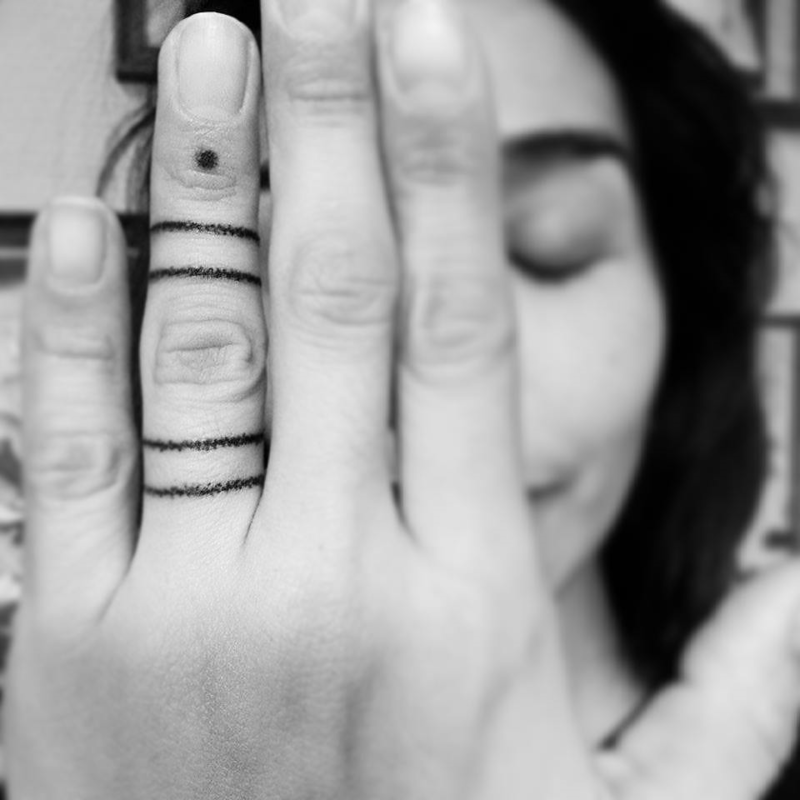 Today, she practices the art of hand-poking and stitching, two traditional Inuit tattoo methods. Maya Sialuk Jacobsen grew up in Qeqertarsuaq, “the big island,” in Northwestern Greenland, 400 kilometers north of the polar circle. Located on volcanic Disko Island, the small town of Qeqertarsuaq hosts basaltic mountains and the enormous icebergs of Disko Bay. 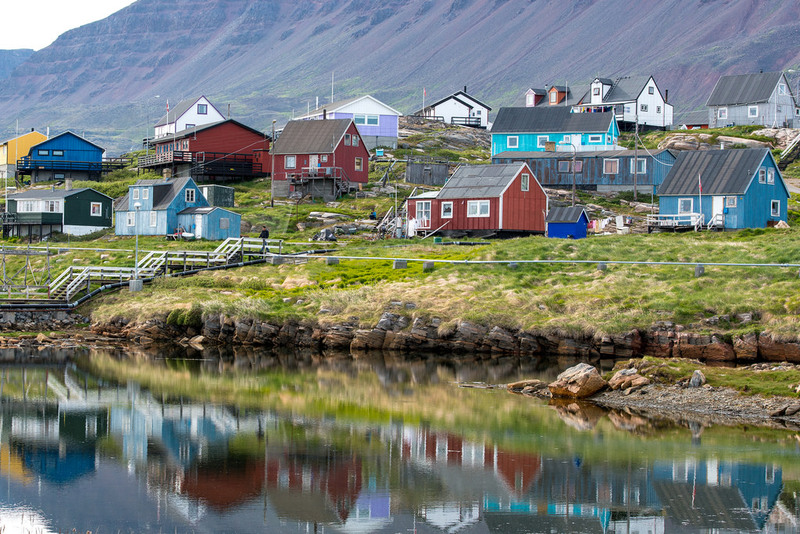 Founded in 1773 as a whaling station, Qeqertarsuaq is one of the oldest towns in Greenland. Maya describes her hometown as a “volcanic paradise in the middle of the arctic.” Playing amidst bedrocks, seashores and icefields, it was a town of fisherman and hunters. Seasonal changes brought about stark shifts from 24 hours of sunlight where small boats camped out in deserted settlements along the coast, and winter, when the sun doesn’t rise above the horizon for two months. Winter months allowed for hunting and dogsledding under a bright full moon and the northern lights. When Maya was a child, the population of Qeqertarsuaq was about 1,000. “Today centralization, modernizations and the closing down of our small shrimp factory the population has gone down to 850,” she says. When she was a child there were 1,000 humans and 3,000 dogs. “The constant wolflike howling was the soundtrack to everything.” Today, 2000 families in Greenland live solely by hunting. The ground in Greenland nearly permanently frozen, so that ships may only come in Spring to restock supplies. Thus, those in Greenland must rely on eating what the ocean provides. The raw skin of a beluga whale is considered a delicacy. After the second world war, the Danish government sent over its builders and contractors, aiming to continue to modernize and civilize Greenland through the building trades. Many of these contractors brought foreign diseases with them, harming much of the Greenlandic population. In the 1950’s, when Maya’s mother was 8 years old, she lost her mother to small pox and was adopted by a Danish carpenter who brought her back to Denmark. Many children were sent back to Denmark in the 1950’s despite the fact that they were not yet legal orphan. Maya’s mother never had the chance to attend her father’s funeral. Maya’s mother later married in Denmark. Maya was born and as a child, moved back to Greenland with her father. Maya is part Greenlandic, part Danish. 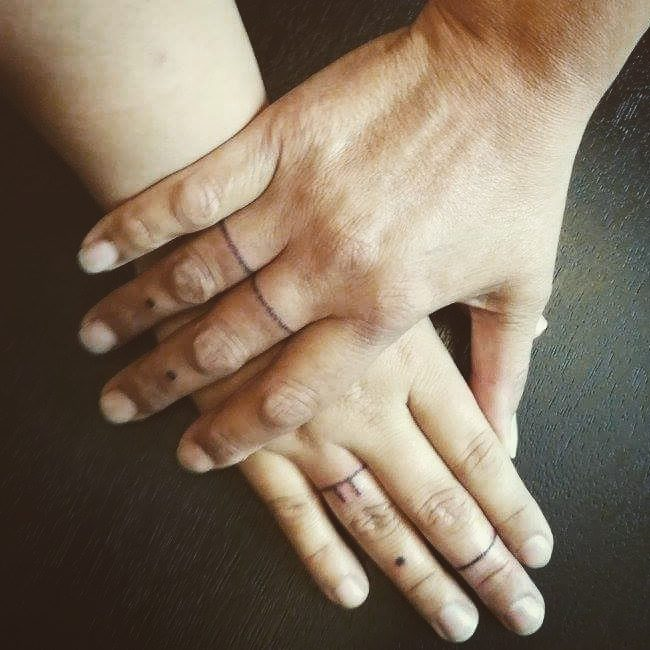 As an adult tattoo artist, Maya found older methods of tattooing, like hand-poking, as a gateway back to her own culture. Hand-poking style does not involve mechanical guns or machines like western style tattooing. The artist pokes in ink with a hand tool. Skin stitching involves sewing tattoos with needle and thread. Traditionally, needles were slivers of bone and the thread consisted of sinew from whale or caribou. Today, Maya uses metal needles and cotton thread so as to ensure sterilization and hygiene. Skin stitching is painful, she says. She learned by practicing on herself and her husband. Hand-poking and skin stitching were common among the Inuit in Canada, Greenland and Alaska. The art is not Maya’s only interest in traditional tattooing. Today she engages legislative dialogue between her trade union, which deals with many diverse issues, and the government in Denmark, where she lives now. There has been a ban on facial tattoos in Denmark, a regulation established at the time of Danish colonization when the western colonizers saw facial tattoos as primitive and uncivilized. This ban has occurred in many colonized areas that inhabit Inuit peoples. Over generational influence, facial tattoos slowly disappeared from tradition and even became a shameful or hidden practice. Traditional Inuit facial tattoos were banned because of outsiders’ fear that tattoos were linked to shamanism and unchristian principles, perhaps even evil. As the regions became increasingly influenced by Christianity, tattooed markings became increasingly taboo. Christian influence over Inuit inhabited lands came abruptly. It dramatically changed the life of the local residents. Changes swept through so abruptly, that history is still making sense of itself. This may be why a revival in Indigenous tattooing has strengthened. As generations look to its own history, we try to make sense of our past by reclaiming a relationship with it. Inuit is a term to describe many clans throughout north Alaska, north Canada, Greenland and Siberia. The term encompasses a wide reach of people with many different traditions and dialects. “Americans call them eskimos but they prefer Inuit,” Maya tells us. The Inuit tattoo was primarily a woman’s practice. Historians guess about 5% with these tattoos were men. Mostly, the tattoos were made my women and bestowed upon women. Each clan from various areas focused on different body parts but all had included facial tattoos. Inuit tattoo artists like Maya don’t have the luxury of looking up traditional designs online. Maya scoured old books, museums, and the depictions in the journals of polar explorers. And every time she found a new design, she added it to her sketchbook. She drew the pattern on a blank face to catalogue what she had found. Later she catalogued tattoos found on arms and legs. Maya was told that the practice died many years ago - That it was last described in the 1780’s. 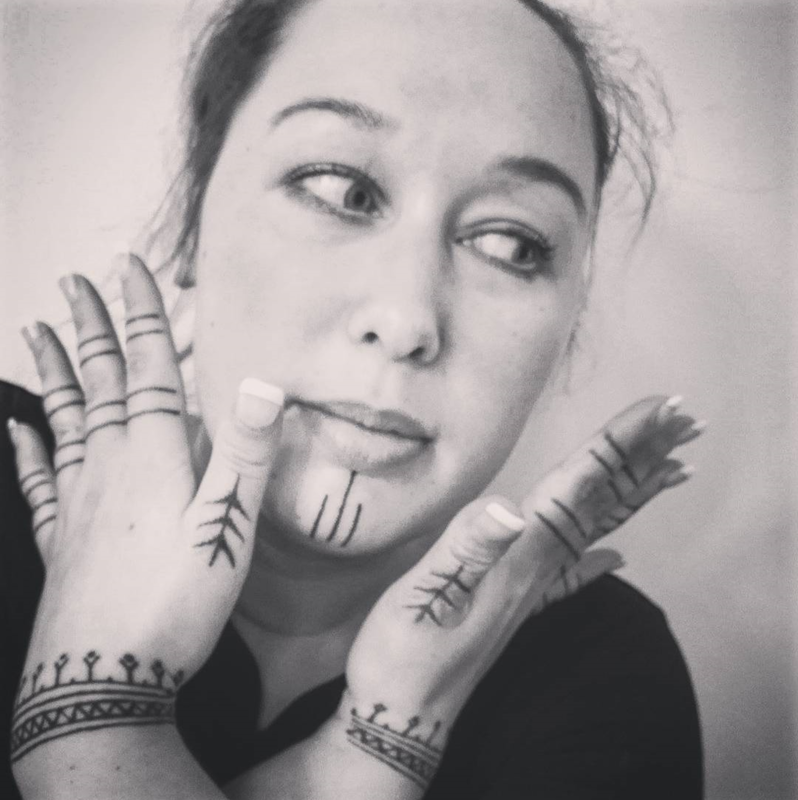 She interviewed many women in Greenland and found a lot of markings that have replaced tattoos- like patterns on fabric and clothing, for instance. But in northern Canada there is still a living memory of grandmothers and elders with facial tattoos. Alaskans as well. It has however, simply become more rare. Maya conducted a skin stitch demo in Alaska at the Anchorage Museum where she also spoke about the tradition. She was surprised by the enthusiasm and didn’t have time to work on all those that wanted to be tattooed or talk to all that wanted to talk. Maya also attended the Indigenous Ink Festival in New Zealand. Maya continued her research as an Artist In Residence at Anchorage Museum as a part of the Inuit tattoo project Tupik Mi. 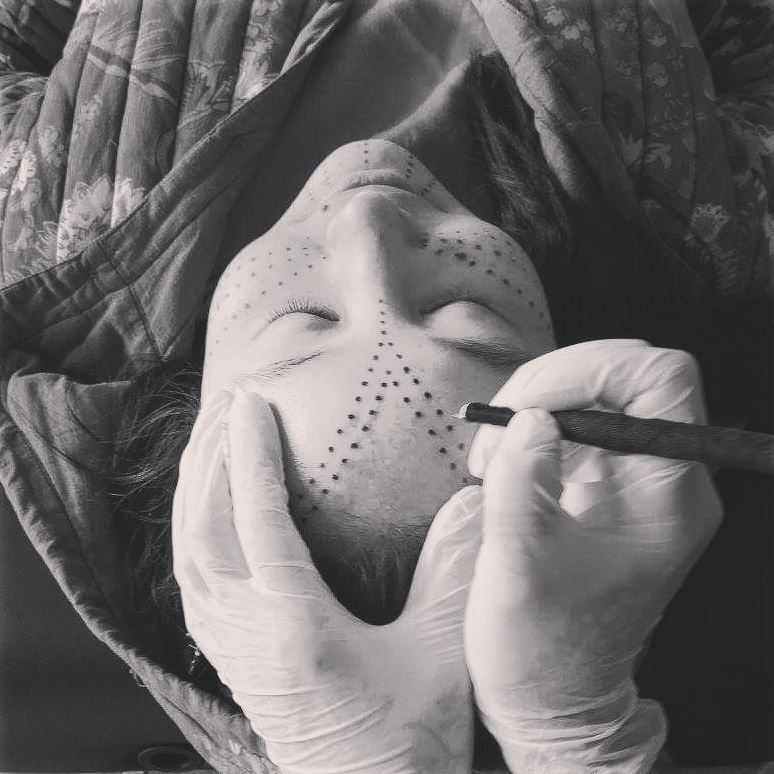 The first year Maya and her partner in the project Holly Nordlum introduced the traditional tattooing methods. The second year Maya introduced four Alaskan Inuit women to Inuit tattooing in a training program. The third year Tupik Mi travelled to Greenland and held a workshop and exhibited at Nunatta Katersugaasivia - The national Museum Of Greenland. 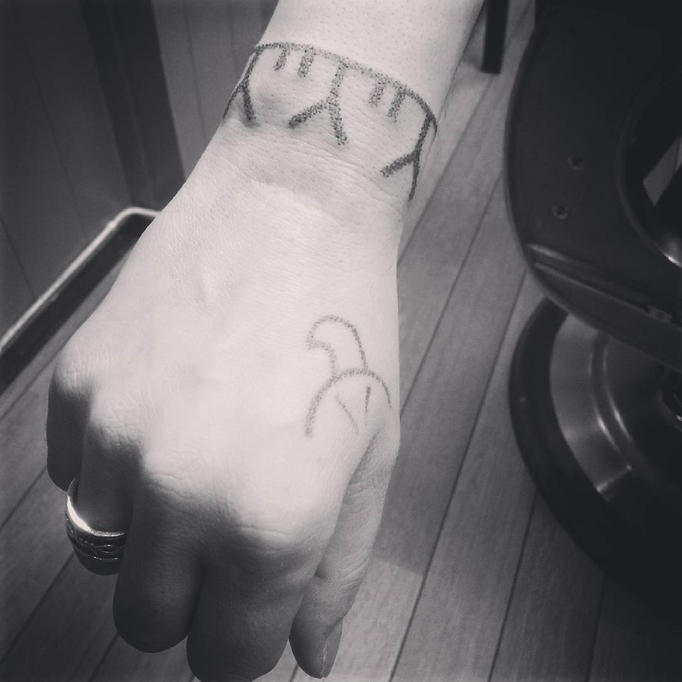 Maya tattoos at her private studio in Svendborg. She does illustration work, and gives public talk on Indigenous tattooing, Inuit culture and activism that promotes decolonization. Maya was kind enough to answer some of our questions about her life as an artist and her research. What do you see as significance of the #rematriate movement and do you see your work as having a part in this movement? The #Rematriate movenment is a powerful tool in the empowering of indigenous women. My work is quietly floating next to the movement I feel. Or walking side by side with it. Inuit tattoo traditions are female. A vast majority of the patterns are female patterns and the person applying the markings would be female. Men would wear tattoos aswell but in less amounts and and in much smaller sizes - most importantly for completely other reasons! The womans tattoos were a significant part of societal structure and with deep roots in the spirit belief system. She was responsible for pleasing spirits by doing her work, living her life and getting her markings within a complex system of taboos. Today Inuit women wear the traditional markings to show belonging to our culture but it also carries a bit of a political statement. Somehow..again..the women wear the markings to take care off and nurture our culture. They get stronger and more empowered by the sisterhood that our markings create. Can you describe where you are from in Greenland and what it looks like or daily life is like? Like many others I am part danish and part greenlandic. 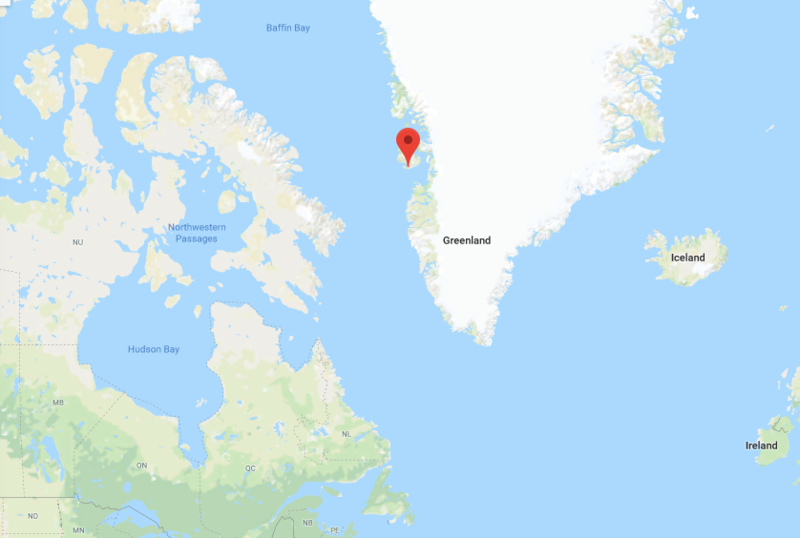 I grew up in Qeqertarsuaq in Northwest Greenland. Qeqertarsuaq means The Big Island and it is a volcanic paradise in the middle of the arctic. The natural beauty there is beyond compare. I grew up with bedrocks, seashores and endless fields of ice as my playground completely unaware that the rest of the world was not as beautiful. It is a hunters- and fishermans town. The population was about 1000 people when I was a child. Today centralization, modernization and the closing down of our small shrimp factory the population has gone down to 850. In Northwest Greenland we have the strong seasonal changes that are either bathed in sunshine and light 24 hours a day in summer season. A time to play outside till early morning and go fishing and hunting from our small boats and camp out in deserted settlements along the coast or the winters we of the Kaperlak - the dark season where the sunsister does´nt rise above the horizon for almost 2 months. The sky provides northern lights and stars and bright moonlight though. In winter we go dogsledding on hunting trips. In Qeqertarsuaq when I was a child we were 1000 humans and 3000 dogs. The constant wolflike howling was the soundtrack to everything in life. With the onset of European colonization, native tattooing practices were banned. Do you meet many people who have living memories of tattooing within their own family history? In the area of Inuit Lands where I come from, tattooing has been banned for 250 years. Banned and/or shamed away. In Greenland I meet nobody with living memory. In Canada and Alaska I have spoken to many people with living memory. It is a great feeling to take notes of patterns and meanings from people who remember their Grandmothers or great grandmothers or aunts with tattoos. It gives me great happiness and hope for our culture to see just how much we remember and still know..despite the fact that we are told again and again that we don´t exist anymore. That we are extinct. We are indeed a living and evolving culture. Left: Town of Qeqertarsuaq, where Jacobsen grew up. Right: Town of Qeqertarsuaq on Disko Island, Greenland. What did the markings represent for women and do you see this as relevant for Inuit women today? Our social framework is very different today than the one of our foremothers. We do not get the markings today in the hopes that The Mother Of The Sea will grand us food. Our foremother got the markings for her clan/group/family/tribe would survive the harsh conditions that the arctic provided. We get them today for our clan/group/family/tribes culture to survive in the harsh conditions of post colonial existence. They are relevant today to show dedication and belonging to Inuit culture. Also they are very beautiful. We are proud to show that we are Inuit women. What is a major popular misconception among naive audiences that you would like to share about your work or these tattooing traditions? That the bracelet tattoo is traditional HAHAHA. No seriously . . . There are different things to point out when it comes to misconceptions. One is from western tattooers that think that appropriating our patterns is okay if they do it from a point of admiration. They often use the wording "I shine light on your culture - how can that not be helpful?" but borrowing and altering our ancient and sacred patterns is not helpful. It does not contribute to the growth and well being of our communities and it is a direct altering of our patterns that goes against any common sense when we talk about culture preservation. The patterns can only change by a collective Inuit normalization of the practice and the slow organic development as a culture that happens when a practice is in use for a long period of time. Lets not call it blatant white privilege though - just misguided cultural appreciation. The misconception from the naive audience is obviously to buy into that mindset. Thinking that they help Inuit culture from a distance by wearing our appropriated patterns. I assure that the western tattooer who did their tattoo is not sending his fee to any Inuit community to help buy schoolbooks or pay for language teachers to reinstall native languages. Who do typically tattoo and for what reason do you think they seek it? In Inuit communities it is Inuit woman that already are artists and somewhat minded for activism that do this work. Revitalizing old practices takes so much work and study and so very little financial income that it takes warriors to do the job. We guide our women through trauma healing and rekindling of Inuit pride. It is truly a nurturing job. Strong Inuit women. It’s hard to parse out the historical, cultural, artistic and political incentives for a re-emergence in these tattoo styles. Can you say which of these if any are motivations for your interest in the tradition and work? It is safe to say that my biggest interest is digging out what has been hidden for us and reintroduce it. I get such a buzz from finding patterns in corners of museum collections and to see the faces of the historians I work with when I can present something to them that is not already written down (by a white male). Last month we had a few nerd-scoops at the National Museum Of Greenland and managed to place 4 tattoo patterns in an area of Inuit lands where no one has placed tattooing before. I was so happy. Now I can tell the women of that area that they too have foremothers with markings. I spend a lot of time placing patterns geographically and demographically to try and return the patterns to the clans from those areas. It is also a deep interest of mine to try and understand Inuit life and mindset from when the tattooing was a vital part of the society, inorder to really understand the meaning of the patterns. Many answers are in the mythological realm that tells us everything from ethics to creation of life. The collection of maybe 2000 myths are kind of a guide to life of Inuit. A great deal of our patterns are rooted in the myths. Which traditional tattoos do you have and do they have names or concepts associated with them? My facial tattoos are the most visible Inuit markings I have. My chin is called Talloquteq in our Inuit language. It has other names in other areas. The alaskan Inupiat call it Tavlagun. Basically it means What belongs On The Chin. The talloquteq is the mark of becoming a woman. Whenever it was decided that you were a child no more. My Qaaq - my forehead is honoring Maliina the sister who became the sun after being raped by her brother - who then became the moon. We honor Maliinas strength to be beautiful, warm, radiant and lifegiving despite her trials. On my thighs I have birthing tattoos that are meant to give my children something beautiful to see as the first thing when they are born. Also the amulets of hunting tools in the markings should give my sons hunting luck and my daughters sons with hunting luck. Can you briefly describe your ideal day of tattooing? Who are you tattooing, where are you and what is the general experience like? Primarily I tattoo Inuit women and sometimes men. Mostly women. Most of them are Greenlandic like me but I have tattooed many alaskan and candian Inuit aswell. We go through the patterns and we talk about the meanings. We talk about how the tattoo is meant to help them be stronger or emphasize their strength. It is quiet and beautiful and peaceful. Usually i only have the one woman the whole day. We have time to find the ways and to honor and grief our culture while we together - rebuild and repair. It is very meaningful and I feel blessed in so many ways. Do you still do western style tattooing? What is the most fun day you have had in the last five years? A dinner at a friends house in Nuuk in Greenland. We were a bunch of friends and the food was all traditional. It was such a great evening of laughter and country food. It sounds pretty ordinary I know but it really was out of the ordinary. Yuuyaaraq by Harold Napoleon. A Yupik writer. Its amazing. Also I like the young greenlandic writer Niviaq Korneliussen. Her novel Homo Sapienne is well worth a read. To be honest though..I mainly read non fiction nerd stuff. What kind of non fiction do you read? I read a lot of Anthropologist and Etnologistic stuff from Franz Boas the german father of modern anthropology and Hawkes, Gordon and Nelson on their observations on Eskimos (as they called us) 1900 - 1920s Also I read the polar explores like Knud Rasmussen, Peter Freuchen, Kaj Birket-Smith. Currently Im trying to read Knud Rasmussens handwritten diary from the 5th Thule Ekspedition. His handwriting is hard to read though. I read the missionaries journals and publications like Hand Egede and Gustav Holm. It is always hard reading since we are portrayed as lesser humans from uncivilized cultures in all of them. But I have learned to understand that these men came as christians in the early part of 1900s and ther perception was western and patriarchal. But sentences like "If you wash them, they are as dark as the portuguese" still makes me bite my teeth. On purpose I stay away from modern day anthropologists that base their work on the people listed above. I would rather read the sources and do not need another layer of white male interpretation of my culture. Are there any projects, movements or artists you suggest our audience explore? I have a passion for activism through art. Guys like Gregg Deal and Jay Soule are so brave in their expressions. My good friend greenlandic peformance artist and poet Jessie Kleeman is always mindblowing to watch in her performance art. The indigenous film scene is super interesting these days with young masterminds like Asinnayaq Isabella Weetaluktuk and her film 3000 and the young greenlandic genius Marc Fussing Rossbach and his film In The Land Of Our Shadows. I for one can´t wait to see where these young Inuit are taking us next.